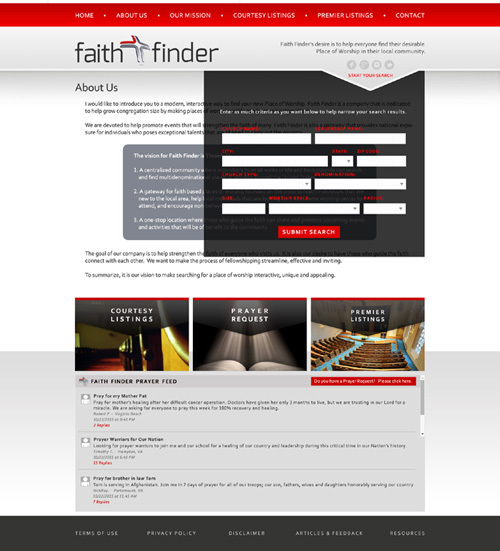 • Example of 'Start Your Search' when clicked from any interior page. • Interior page general inquiry contact form. 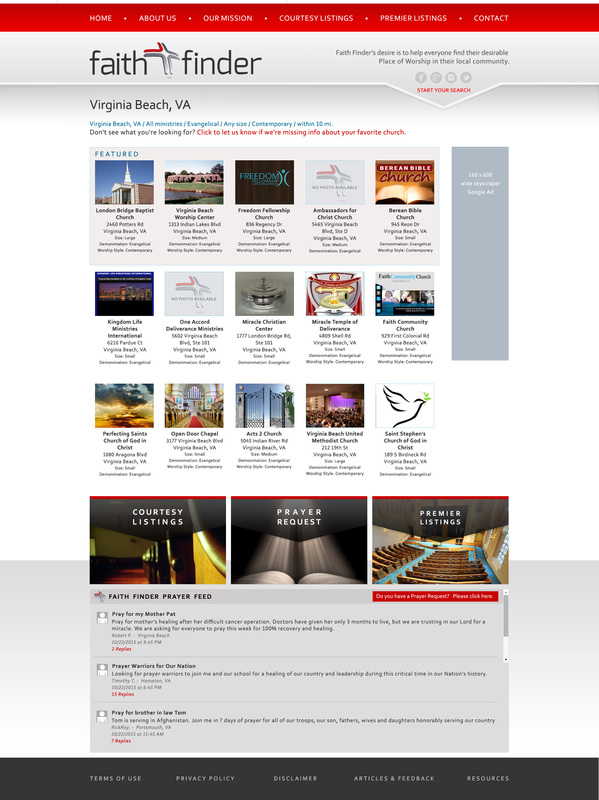 • Category listing page shown after a search. 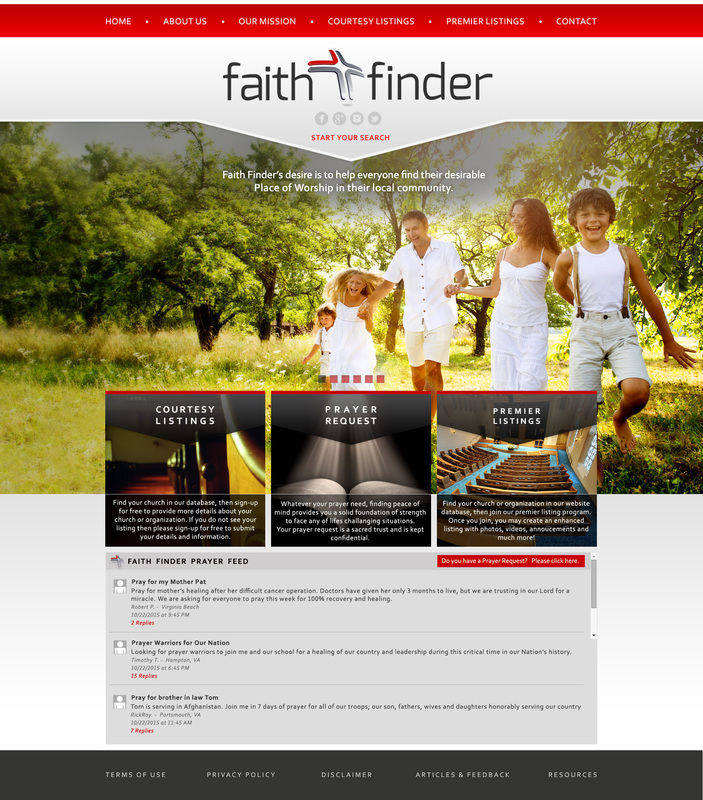 • Has an upper 'Featured' section. 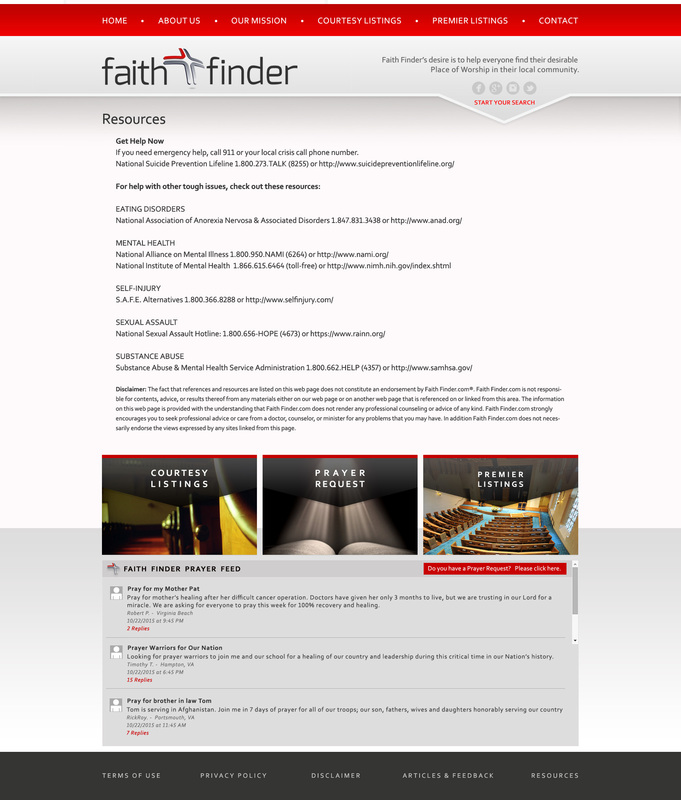 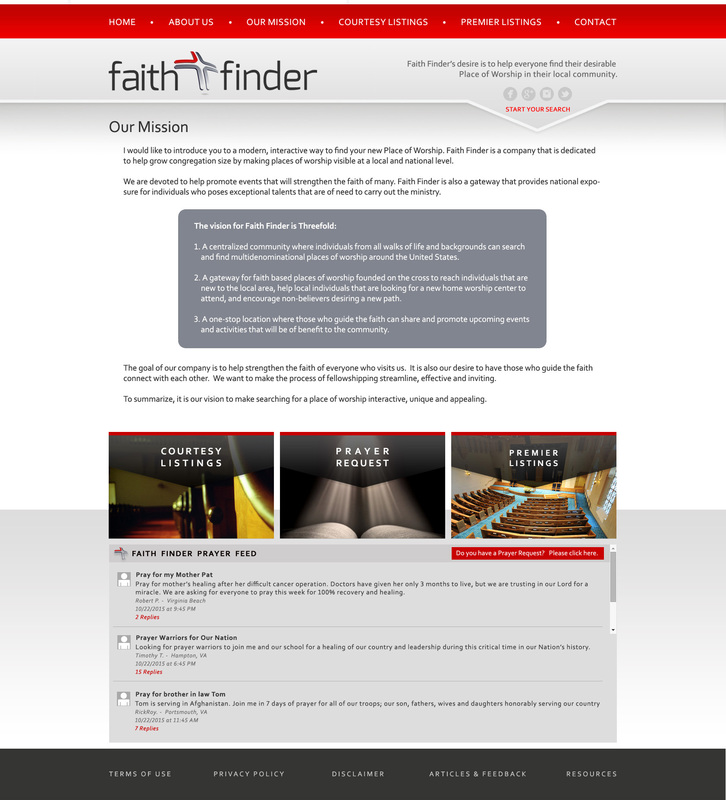 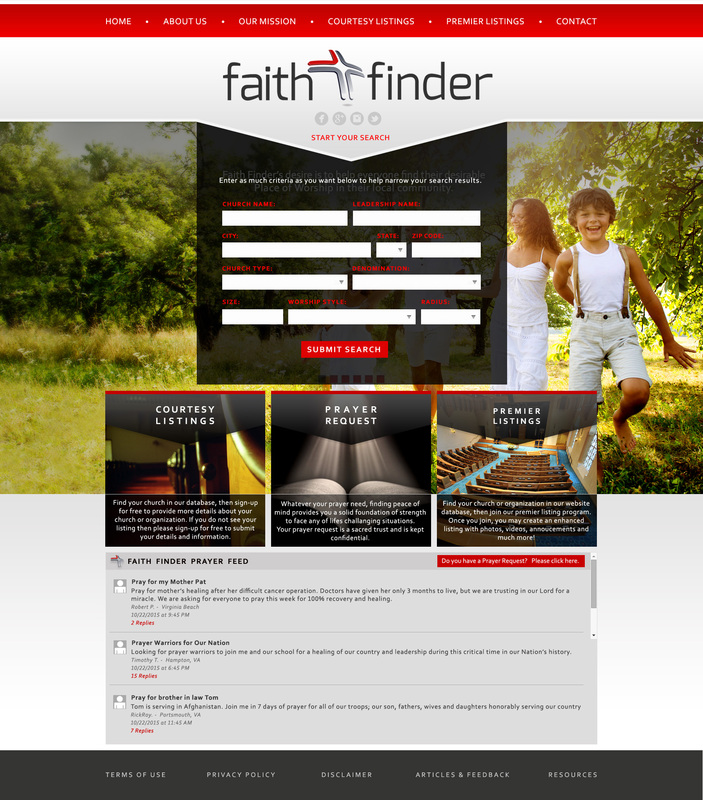 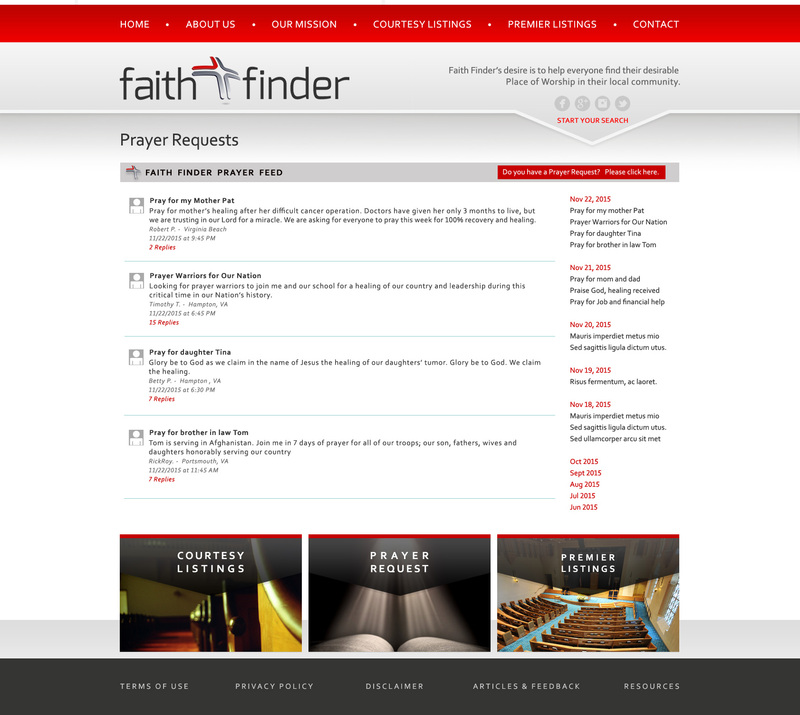 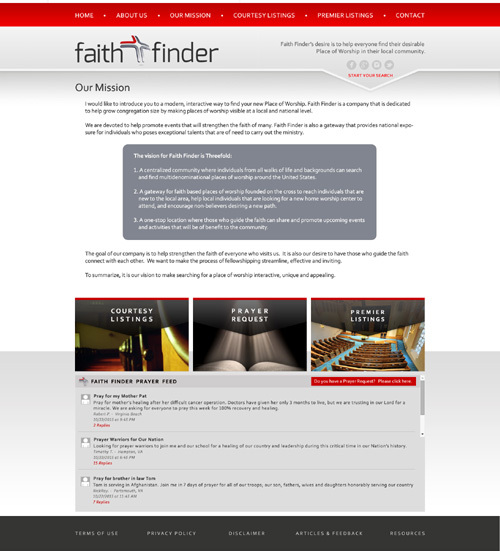 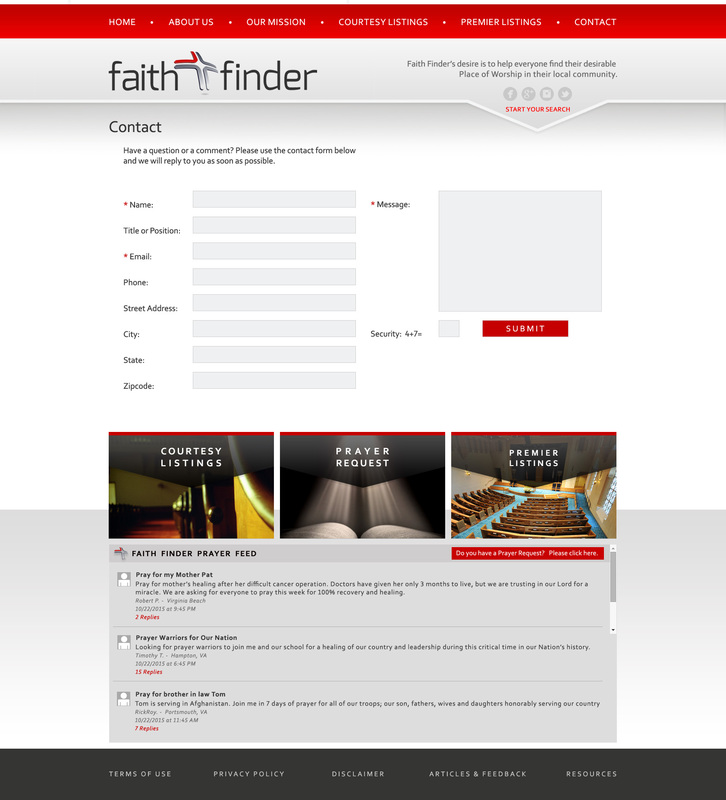 • Listing in the Faith Finder advanced category database. - Small photo/image and larger banner image. - 'Send a Message' feature so visitors may contact you. 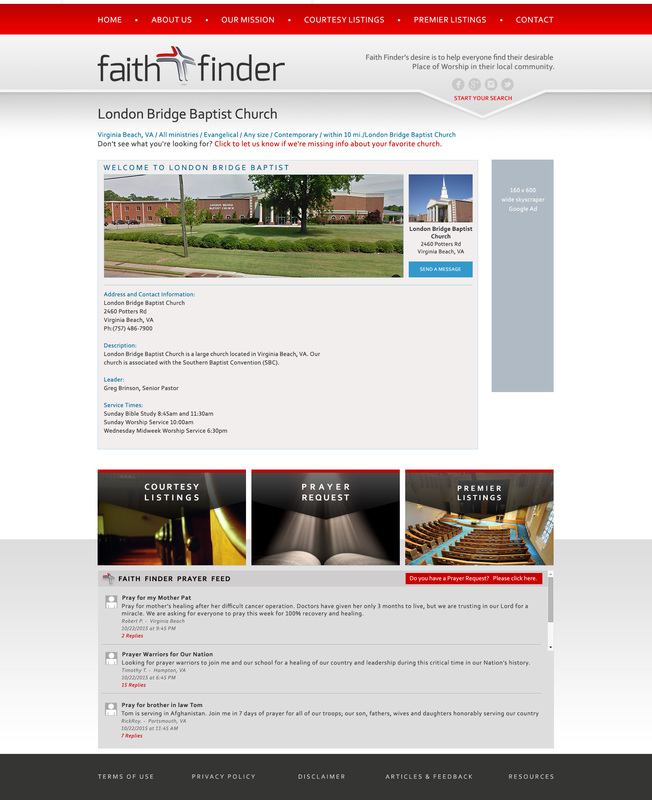 - Description, Leader and Service Times information. There is also the ability to add more descriptive titles and content. 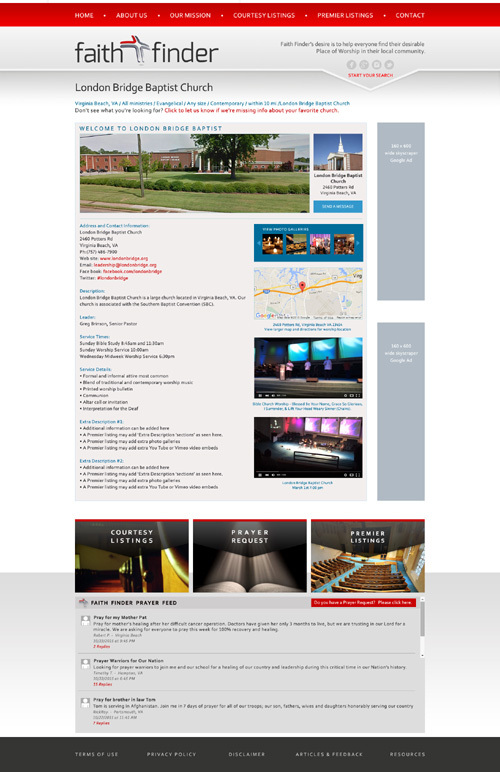 - Unlimited YouTube or Vimeo video embeds. • Current days or most recent are displayed. Previous months can be archived.